Here in California, people are extremely warm and helpful. They are known for their hospitality. If you reside in California and want to help people, you can become a hearing aid specialist to help them hear. Do you know over 5% of the world population has disability hearing loss? It has been estimated that by 2050, over 900 million people around the globe will be suffering from disabling hearing loss. Also, the Office of Deaf Access estimates 3 million deaf and hard of hearing persons reside in California alone. If you want to contribute to the health sector, prepare yourself for the hearing aid specialist licensing exam here in California and become a licensed practitioner. Charles Robert Redford Jr., a California native, is a popular American director, producer, actor, and a successful businessman. Do you know, Redford suffered from a severe ear infection which led to 60% hearing loss in his left ear in 2013? During the shooting of his movie, All Is Lost, Redford insisted on performing the water stunts. One sequence involved him getting sprayed with a huge water hose again and again. The soaking time was enough to give him an infection in his left ear leading to 60% of his hearing power loss. Are you ready to become a hearing aid specialist licensing professional in California? If so, Hearing Aid Academy prepares you for the written and practical International Licensing Exam (ILE) administered by International Hearing Society (IHS) to start practicing as a hearing aid specialist. Hearing Aid Academy was the first most competent and complete online education program for hearing aid specialist. The HAA effectively prepare its students to become successful healthcare providers in the hearing aid industry. It is a well-known fact that our brain can retain visuals more easily as compared to plain text. This is because visuals are processed by 60,000 times faster than text. Hearing Aid Academy’s curriculum includes animated audio and video clips, video lectures, voice lectures, text assignments and web sessions with our experienced instructors. Moreover, it contains 100 hours of video training spread over 31 modules. You need to clear the exam before moving on to the next module. This one-of-a-kind online hearing aid specialist licensing program engages all type of learners and is specially designed to help you clear your state exam. Are you a slow learner? Did you always find yourself missing on the discussion? Did you understand what the teacher taught? If you find it difficult to cope with the rest of the class, online learning is the best solution to help you keep up with the course. With online hearing aid specialist course, you can learn at your pace. You can pause, repeat the lecture, or access additional resources to understand the course content. On the other hand, if you are a quick learner, you can always move on to the next module and spend time on sections you didn’t understand in the first place. You don’t need to work according to someone else. Spend as long or as little time as you want on a particular topic. When studying alone, you can feel bored. This is the reason the Hearing Aid Academy online course is designed after a lot of research. The hearing aid specialist online course includes a mixture of videos, text, animations, images, and diagrams to keep you engaged and make it easier to absorb the information. Moreover, the course is divided into small sections which helps improve retention rate. To become a hearing aid specialist, you need to clear, both, written and practical hearing aid specialist licensing exam in California. While a traditional college degree can cost you hundreds of dollars, online courses are the most effective options. Moreover, we also provide financial assistance to those who qualify. So if you want to help people, enroll in the HAA online program and prepare yourself for the Hearing Aid specialist licensing exam here in California at a fraction of the cost charged by traditional colleges. For more than a decade, Hearing Aid Academy has been effectively preparing students to become successful healthcare service providers. The academy boasts of skilled and knowledgeable qualified instructors with more than three decades of experience in educating and preparing students for the hearing aid specialist licensing exam in California. Do you know every US state has a different licensing procedure? It is imperative to familiarize yourself with your state requirements. Hearing Aid Academy helps you know more about your state licensing procedure. Hearing aid specialists are in high demand as nearly one in every three people falling in the age group of 65 years suffers from partial hearing loss. Thus, requires a hearing aid service. You can prepare for the hearing aid specialist licensing exam in less than 12 weeks through the Hearing Aid Academy’s 100% online curriculum. Work at your pace to achieve a truly individualized education. 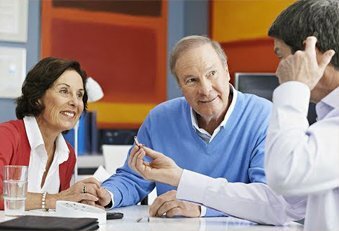 Moreover, you can access our experienced hearing aid specialists (HAS) for a 1 on 1 session to clear your doubts. Take the first step toward a fulfilling and exciting career today! The enrollment process is extremely easy. Schedule a web conference interview.